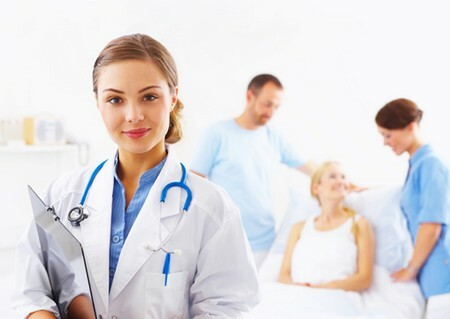 The huge demand for nurse assistants in recent years as populations age has resulted in a corresponding increase in the types of course available, all of which can be very confusing for the person who wants to become a nurse assistant and then has to evaluate which training provider will give them the best education, and therefore the best opportunity to obtain work. Despite nurse assistant roles being considered entry level in the health care industry, quality standards need to be maintained. Federally mandated standards of course instruction and minimum hours of theory and clinical practice should guarantee that all graduates who sit the state nurse assistance exam are capable of taking on the demanding role, but in truth this isn’t always the case. Not all training is equal, so it is important to get peer and industry recommendations for training providers. Typically from the start of the course until employment you can expect to be studying and therefore not earning an income for at least 4 months, from waiting time before exams can be scheduled to waiting time whilst going through the interview process for employment. With this much time invested in becoming a nurse assistant it is easy to see why choosing the correct training provider is essential. Courses vary depending on the needs of the student and availability of instructors, all of whom should be registered nurses and might have other commitments outside of training. The most commonly offered courses are week days where the course will run 3-4 weeks full time, and weekend courses that typically run 6-8 weeks. Both will include scheduled clinical time of at least 15 hours. Some providers also offer night classes, and these can run upto 12 weeks but offer more flexibility for many students. The curriculum of every course is mandated by law, either state or federal, and will always cover the minimum skills needed to safely carry out the duties of a nurse assistant. Students can expect to learn about medical terminology, the human body and how it works, communication skills, role of the nurse assistant their responsibilities, and how to care for patients nursing homes and other settings. By the end of the course the student should understand how to work with patients to ensure their comfort, monitor vital signs, and communicate with colleagues about a patient’s status. All courses are required to offer a clinical or practical component with a minimum of 15 hours in a medical facility under supervision of a registered nurse. The clinical component is designed to teach procedures and give students much needed practice of carrying out nurse assistant duties to prepare them for working in a medical facility. Better course providers will have a good relationship with a hospital or private clinic that gives students a variety of tasks to do. Fees for courses vary as well, with the average course including textbooks being between $300 to $500, and most will require the student to pay for their state exam separately even if the exam can be undertaken in-house; students should not have to pay for their clinical training. It is also possible to apply for loans or grants to cover the cost of a course, or if the student is already employed in a medical setting employers may be willing to cover the cost.